Sumerian astrology tablets make up the first historical record of astrology. The Sumerians gave the world astrology. They are literally the oldest astrological documents. They named many of the constellations and defined the nature of numerous bodies in the solar system. The Sumerians taught the Babylonians astrology. Ptolemy and others then learned from the Babylonians. And we learned from them. Seek out and bring to me the precious tablets for which there are not transcripts extant in Assyria. I have just now written to the temple overseer and the mayor of Borisippa [a city in Sumer] that you, Shadanu, are to keep the tablets in your storehouse, and that nobody shall refuse to hand over tablets to you. His servants obeyed these orders. The tablets were collected into a great library. It was lost when Nineveh was destroyed in 612 B.C. This entire library was rediscovered by British archaeologists in the 19th-century. Out of this library has come to us an astrological text called the Enuma Anu Enlil. It is the oldest astrological document in the world, one that even today makes fascinating reading (from Buccellati, ed., Biblioteca Masopotamiza: Enuma Anu Enlil, Volume 2, Fascicle 2. Undena Publications, 1981, Page 32). It might have been brought to the Hellenic world by Babylonian astrologers who came West. This could have been one of the texts of astrology that Ptolemy studied at Alexandria. If the Lion is black: the land will not be happy. If the King is black: the director of the palace will die. If the Ravens star is very red: the flax harvest will prosper. If the Anzu bird’s front star is very red: if it is winter, there will be frost: if it is Summer, there will be heat. Venus is seen in the West, she is male. Venus is seen in the East, she is female. If the Bull of Heaven’s stars are very bright: the offspring of cattle will thrive. If the Field’s stars scintillate: high water [will come]. In most of the history of astrology, astrologers read the Sun, the Moon, and the planets in their infinite configurations. The above quotes, which are called “omens”, showed that Sumerian astrologers were very advanced because they also read and worked with the bright stars. In fact they found the stars in the constellations to be more important than the Sun and the Moon and the planets. In some ways their astrology was more advanced than ours. 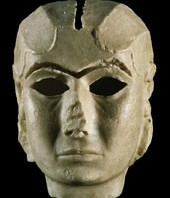 The Sumerians were not only advanced in astrology, but in all other aspects of culture as well. They produced great literature, their laws were as benign as British common law (C. Leonard Wolley, The Sumerians, New York: W.W. Norton, 1965, Pages 90-122), and their mathematics were only improved upon by the brilliant Greeks. To Enlil in one tongue gave praise. This clearly describes a time when people lived together in peace, did not fight against Nature, and believed in one God, Enlil. It must have been a wonderful civilization. 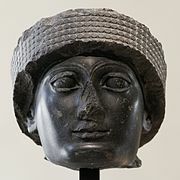 In later times, each city in Sumer had a different god that represented a different archetypal energy, each one of which was connected to a planet. 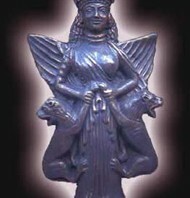 The city of Erech, for example, was devoted to the goddess Ianna (or Ishtar), connected to the planet Venus. Ur, which meant the City of Light, was devoted to the Moon-god Nannar. The ziggurat at Ur, the only one left of such structures remaining from ancient Summer, was a temple dedicated to the Moon. It is interesting that Nannar the moon-god was a male, not a female goddess. Not one Sumerian astrologer’s name is left to us. Four Sumerians, whose names we do have, fall somewhere between myth, legend, and history. These are Abraham and Melchizedek, Sara and Terah. Abraham and Sara were a semi-historical figures, who lived around 2000 B.C., the time of the fall of the Third Dynasty of Ur. The beginning of the 2nd millennium B.C. marked the end of Sumer as a unified political entity. The book of Genesis in the Bible describes the life of Abraham and Sara, and the circumstances under which they emigrated from Ur to the Land of Canaan. In this tradition Melchizedek is an astrologer and Abraham’s teacher. Melchizedek is also mentioned in Genesis. And Melchizedek king of Salem brought out bread and wine: and he is the priest of the most high God. And he blessed him, and said, “Blessed be Abram to the most high God, possessor of heaven and earth, And blessed be the most high God, which hath delivered thine enemies into thy hand”. And he gave him tithe from all. The Bible says that Abraham’s father Terah lived to be 205 years old (Genesis 11:32), and that Abraham himself lived to be 175 (Genesis 25:08). His son, Isaac, lived to be 180 Genesis 35:29). Abraham’s wife, Sarah, had her first child at age 100. Many traditions are found in Sumerian literature and history of this people living for centuries, sometimes for thousands of years. We know that modern science scoffs at such an idea—that people could live to be so old. But what if it were true? What if Abraham’s wife actually had a child at age 100, as the Bible states. If this was true, did Sarah, as a centenarian, look like she was in her mid-thirties? Did she have a body that was capable of bearing a child? The Sumerians all through their literature were obsessed with immortality, with living forever. 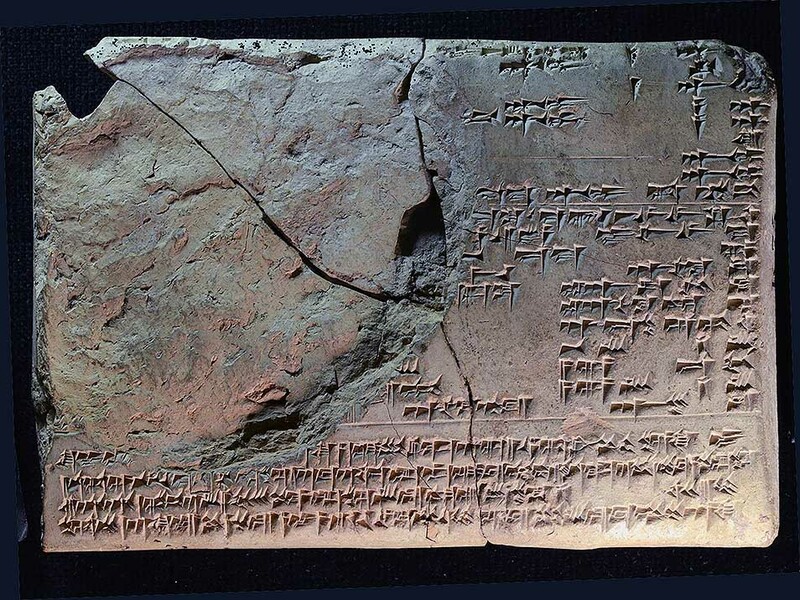 This obsession is a theme that runs all through the tale of Gilgamesh. Is the Bible wrong or mythical or metaphorical about the ages of peoples? Don’t pick it now, later it will bear fruit. He who eats much can’t sleep. Tell a lie; then if you tell the truth it will be deemed a lie. It is the tongue which leads to enmity. Into an open mouth, a fly enters. A sweet word is everybody’s friend. A hating heart destroys the home. A scribe who knows not Sumerian–­What kind of scribe is he? In a city without watchdogs, the fox is the overseer. It reads like Solomon’s Book of Proverbs, doesn’t it? If this tradition of long life is true, and we have no proof that it is not, would it mean that Abraham was relatively young when he died? When the ancient culture of Sumer began to fall apart (and all the evidence we have is that the civilization was so old that it just died of old age), its culture, its literature, and mathematics began to be assimilated by those younger races, the Semites: the Babylonians, the Akkadians, the Hittites, the Jews, and the Assyrians. When this ancient high culture began to fall into a dark ages, many of its inhabitants immigrated into new lands. Sometimes they went West—there are theories that the First Dynasty of Menes in Egypt was Sumerian in nature—or to the land of Canaan, as did Abraham. These young barbaric races in Mesopotamia and the surrounding regions learned how to read, calculate and build from the Sumerians. They came to accept completely the religious teachings of Sumer. Also differences developed after the culture was transmitted. The code of Hammurabi, which is a Babylonian system of laws that governs all fields of human activity, is descended directly from the ancient Sumerian law. (Wolley, The Sumerians, Pages 90-100) The Code of Hammurabi, however, was not as benign as the Sumerian law: Where the Sumerians would levy a fine, the Babylonians would chop off the hands or put one to death. By this era (1950 B.C.) the law and sentencing was degrading into an age of harsher penalties. At the time when Abraham emigrated and began his wanderings, Sumer was dying. There were no longer astrologers who were as cultured and civilized and spiritual as had been the high Sumerian teachers. But still the knowledge was passed on. This is when the practice of astrology most likely degraded. Perhaps much could be learned by us today from those ancient clay tablets. Perhaps the Sumerians looked at the sky in a way that would benefit astrology today, if we could decode all they had to say. Unfortunately most of those cunieformologists, archaeologists, and historians who are currently translating these clay tablets are inimical to astrology, and so this ancient knowledge has not really been made clear to us. The Sumerians were astrologers from the beginning of history and probably prehistory. Thus astrology is thousands of years old. Perhaps we could call Abraham the first astrologer in history. If interested in the Enuma anu Enlil visit this site on the Astrological Association’s page.